Pocket Fruity Casino was developed in 2012 by the AlchemyBet Limited Casinos. The Casino is powered by superior gaming developers which guarantee players a thrilling experience. The Casino is licensed by the United Kingdom Gambling Commission which makes all its games legal and genuine. Pocket Fruity Casino provides slot enthusiasts with a great experience. The range of online games provided cannot be depleted. Mobile gamers have also been put into consideration. The mobile platform is easy to use, with simple navigation and fast in loading as well. There is something for everyone! Pocket Fruity Casino has a range of progressive jackpots. They range from Deal or No Deal, The Pig Wizard, Paws of Fury, Top Cat, Super Spinner Bar-X, and Worms Reloaded. The jackpots are known to have exciting graphics, thrilling spins, and hilarious bonus games. The game that has attracted players more is the Vipers Active progressive jackpot. Slots enthusiasts have been greatly considered by Pocket Fruity Casino. In liaison with renowned gaming developers, the Casino offers an amazing experience for slot enthusiasts. The most known slots are Thunderstruck, Jing Slots, Avalon, South Park, Jurassic Park, Reel Chaos, Pixies of the Forest, Cleopatra and Starburst. Pocket Fruity Casino has not left behind players who are more interested in table games. In partnership with renowned developers such as NetEnt, the Casino offers table games that will have you on the edge of your seat. They offer Roulette, Blackjack, Texas Hold’em, Caribbean Stud and poker games. Pocket Fruity Casino offers a small section of live dealer games. Some of the live Casino games offered include Three Card Poker, Dream Catcher, Baccarat, Casino Hold’em and Ultimate Texas Hold’em. The games get broadcasted in Casino studios which are based on land. 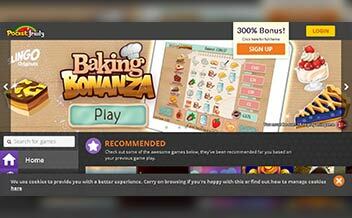 Pocket Fruity Casino offers a free deposit bonus when players sign up. The wager is 30xB. The player should make a minimum deposit of 10 pounds. 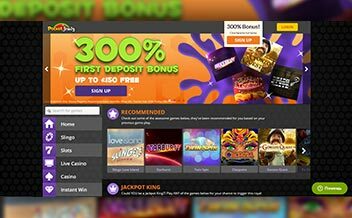 The Casino also offers a VIP loyalty program where top existing players get a VIP treatment in terms of customer support, unimaginable discounts, promotions, exclusive offers and tickets to gambling events. Other forms of VIP treatments that are part of the loyalty program includes; Players Advice, Fast Track withdrawals, Birthday bonuses, VIP competition entries and Exclusive game reviews. Who wouldn’t want to be treated like a VIP? Pocket Fruity Casino has been consistently adding new games, promotions, and playing tournaments. This is paramount so that you can have the most recent information concerning games, player tournaments, and promotions if at all you are interested in being a regular Pocket Fruity Casino player and make lump sum amounts from it. It is because of this reason that we have set up this section to provide the most recent information and news that are essential to any Pocket Fruity Casino players or anyone considering joining the Casino. 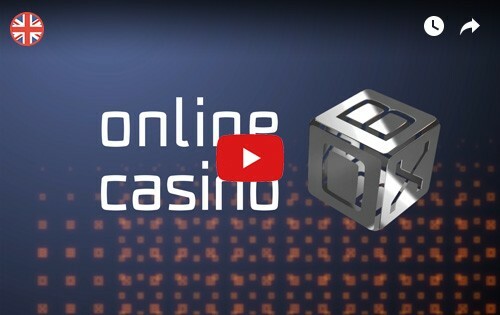 Keep checking out this section to make sure you have the latest information about the Casino. Pocket Fruity Casino is known to offer one of the best gaming experiences to its players. 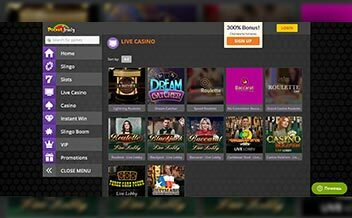 The Casino has over time collaborated with key developers in the gaming industry to bring forth a powerhouse in its software. Some of the software developers that have made this possible include: Net Ent, Realistic, IGT, Eyecon, and Alchemy Bet. Pocket Fruity Casino allows deposits from the following: Ukash e-voucher, Paypoint, and mobile deposit. Withdrawal methods allowed are Cheques. Bank Wire Transfer and cards Funds Transfers. Withdrawals through debit or credit cards take 3-5 days to be processed. A player can only withdraw 5000 GBP every day. Pocket Fruity Casino restricts the following countries: United States, Virgin Islands, Pacific islands, China, Turkey, South Korea, France, Italy, Russia, Spain, Hong Kong, Poland, Singapore, Bulgaria, Libya, Nigeria, Ethiopia, Kenya, Moldova, Israel, Hungary, Vatican City, Portugal, Cyprus, Czech Republic, Slovenia, and many others. 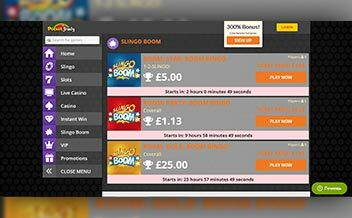 Pocket Fruity Casino allows the British pounds sterling. The Casino only supports English. Pocket Fruity Casino has the greatest feature being mobile gaming. The software allows integration with a great variety of devices. They include Android, iPhone, and IPads. Desktops users have also been considered since it is possible to play games on a computer. The web version provided by the Casino is easy to navigate, the layout is simple, very informative, and the visual design is so appealing. Available for a variety of operating systems. The design allows easy navigation. The design is visually appealing. Frequent updates are required for it to work efficiently. Allows both iOS and Android users. Has fast and easy registration. A player does not need to download the app. Has a visually appealing design. Players need to have a UK phone number to register. Pocket Fruity Casino is greatly concerned with its player’s security. The Casino offers a high-end security protocol that means players can be comfortable while playing at Pocket Fruity Casino. It has incorporated security measures for the players. First, the Casino is regulated and licensed by the United Kingdom Gambling Commission which ensures the games provided are legal and genuine. The Casino has also put in place the renowned SSL encryption which ensures the information provided by the players is secure. The player’s gameplay, financial information, and interactions are thus protected from access by any third party. Pocket Fruity Casino has a robust customer support. The professional customer agents are always willing to help players settle any grievances that come up. First, the site has an online contact form which players can fill in case of a complaint or an inquiry. Secondly, the site has a helpline which can be accessed any time of the day. Equipped with all games in slots. It is a legal and fair entity. Has a contact form found on the site. The mobile gaming interface is convenient. Has a unique VIP loyalty program. Only United Kingdom residents can play. Does not offer non-slot games like video poker. Only allows the English language. Allows only one form of currency.